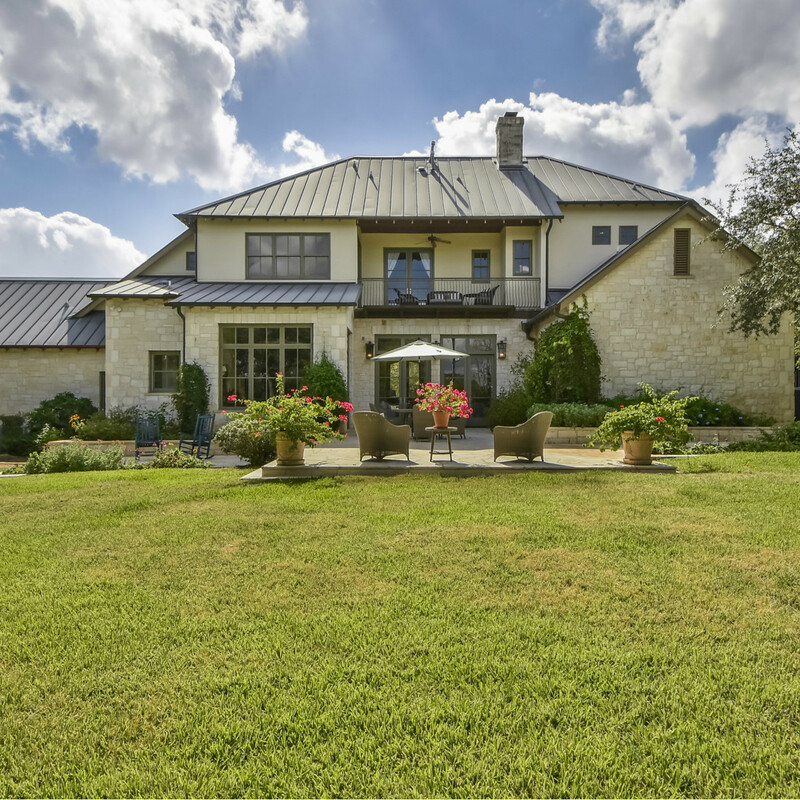 A traditional Texas home does not, as many believe, need to be covered in cowboy paraphernalia or Lone Stars. 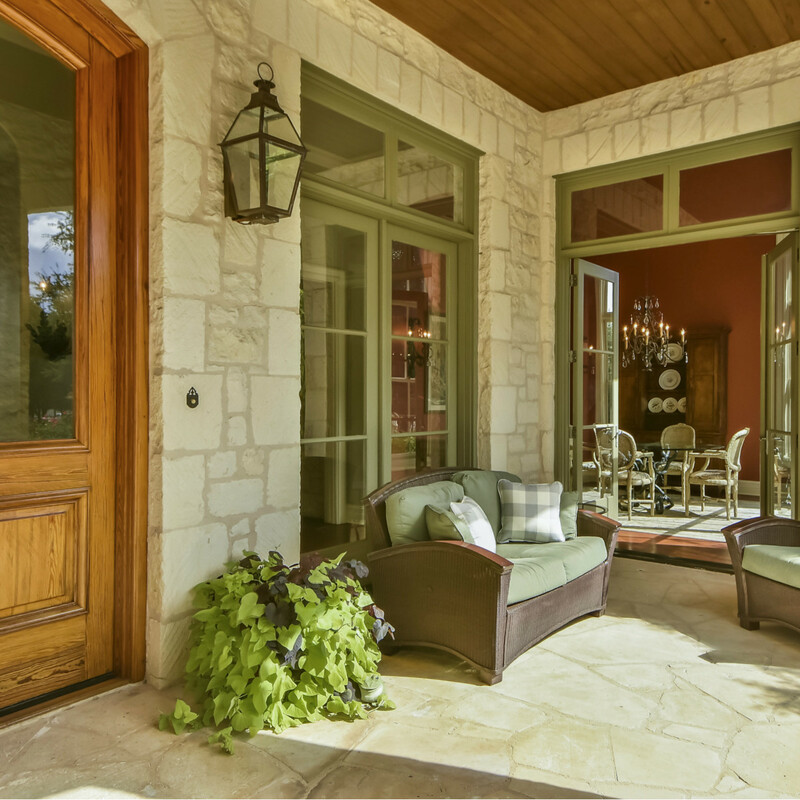 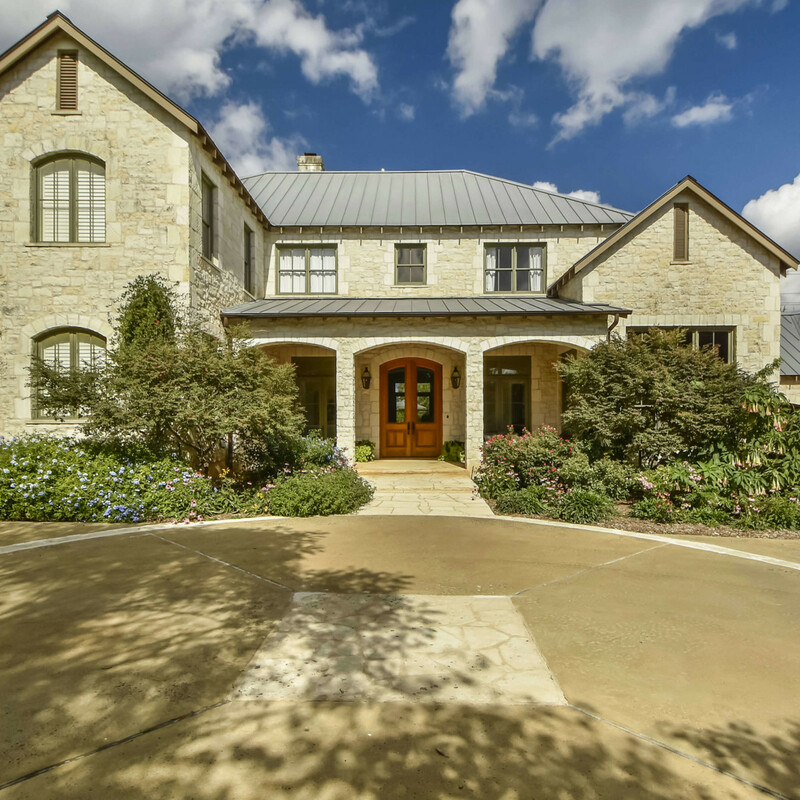 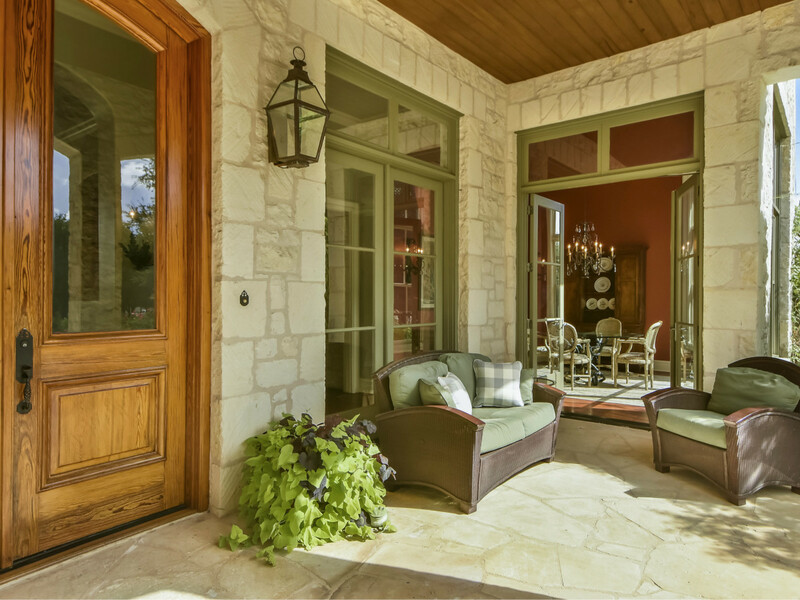 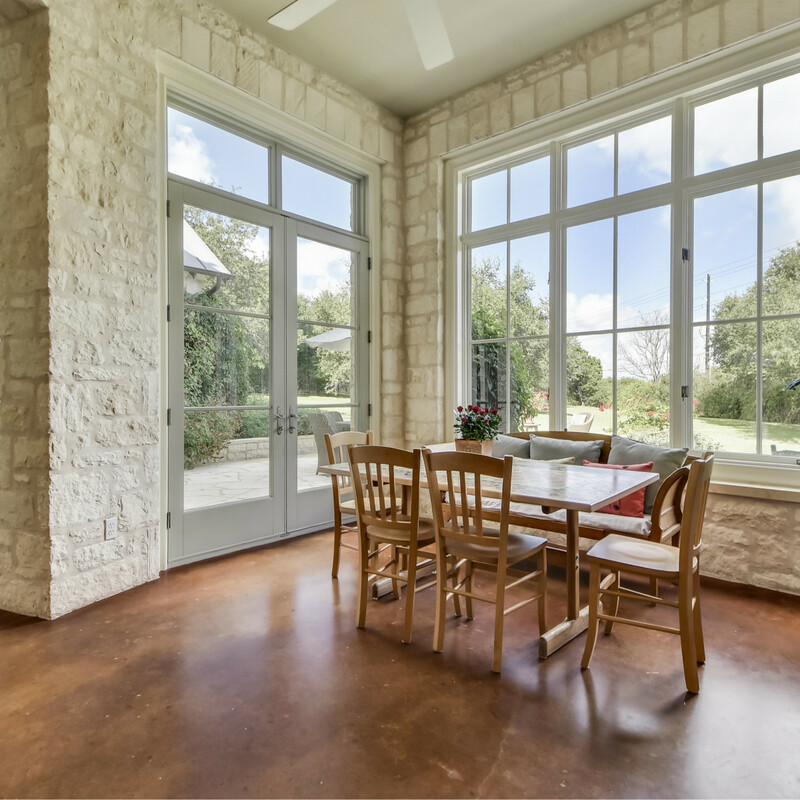 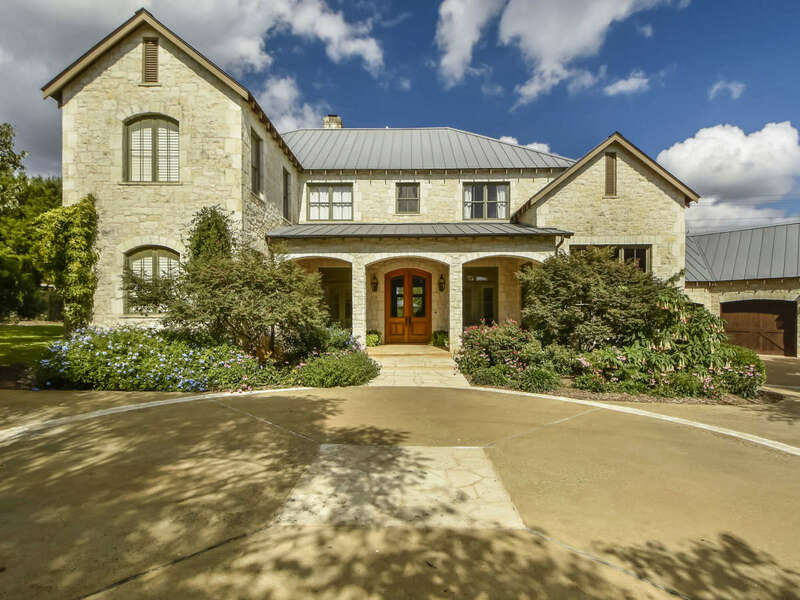 To evoke timeless Texas style, all that's really needed is the presence of natural stone, warm wood, and stunning views, all of which 3904 Canyon Toro Rd. 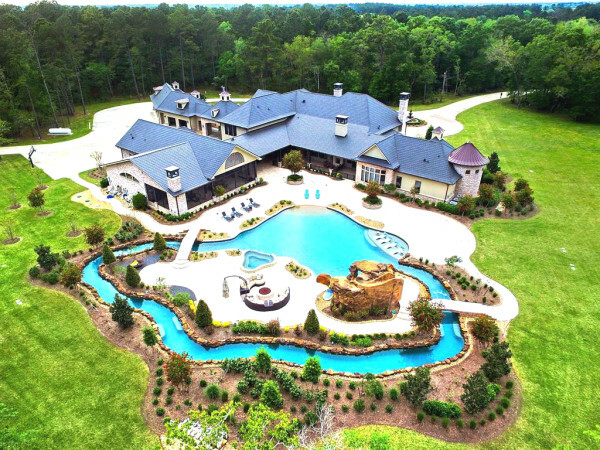 has in abundance. 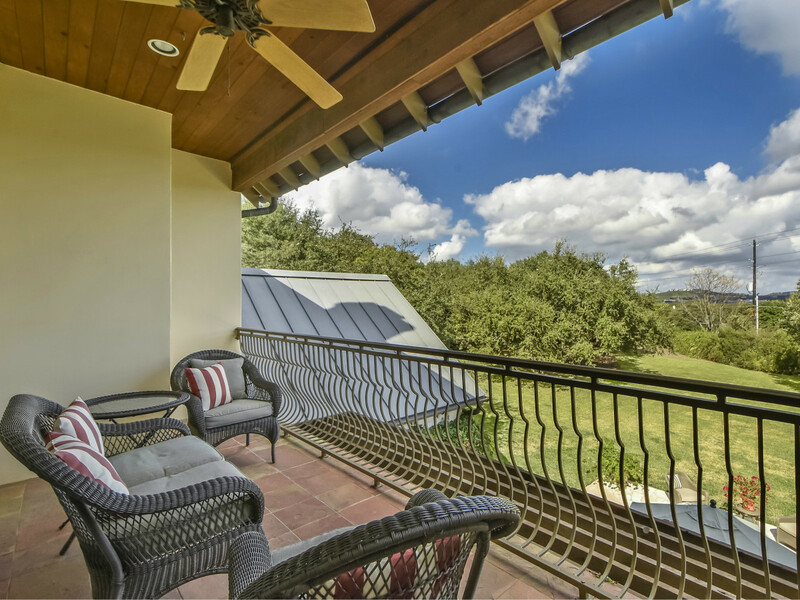 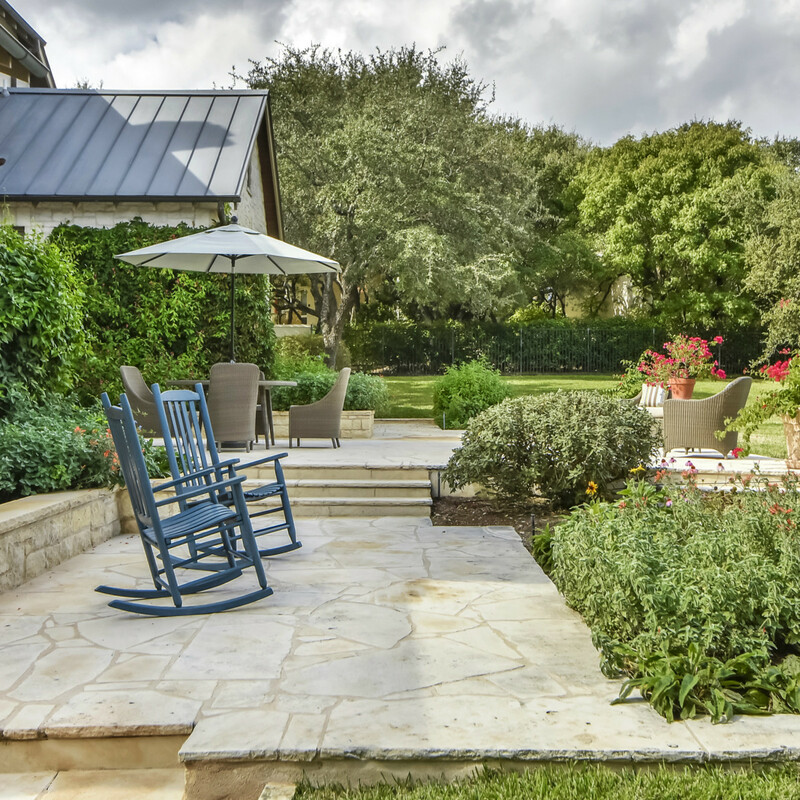 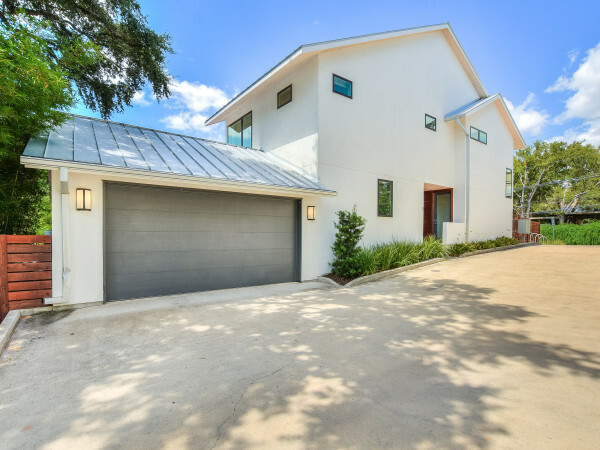 The four-bedroom Austin home sits on a 2-acre wooded lot, drawing elegant inspiration from its surroundings. 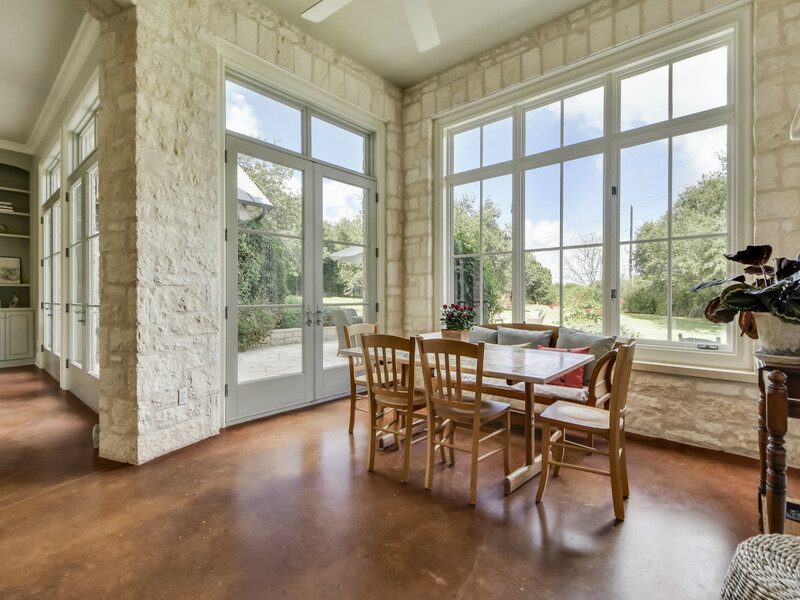 Stone interior walls balance out the tall wood windows and doors, while brick and concrete accents further the organic vibe. 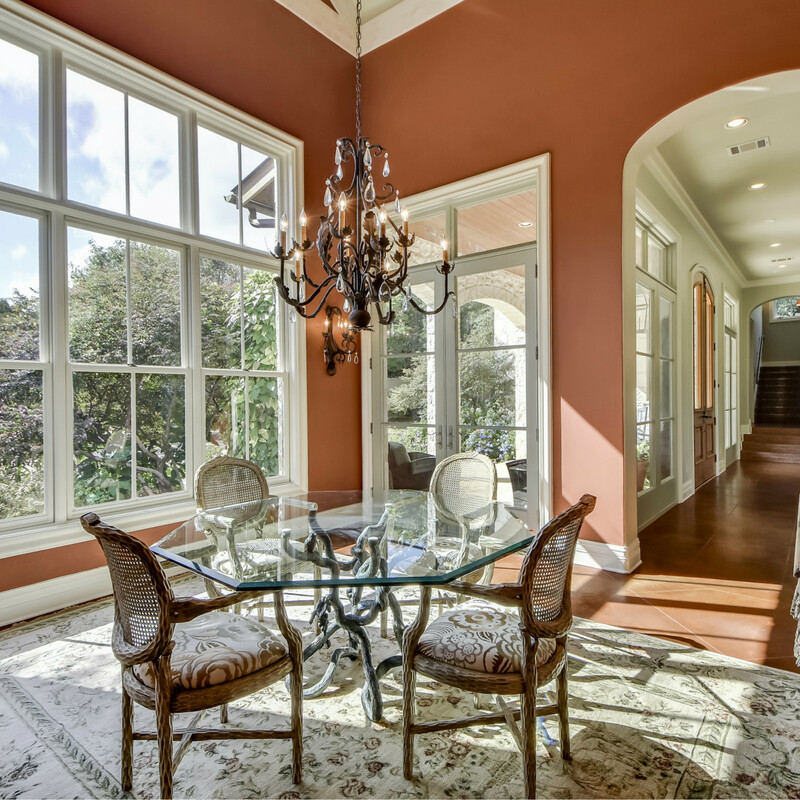 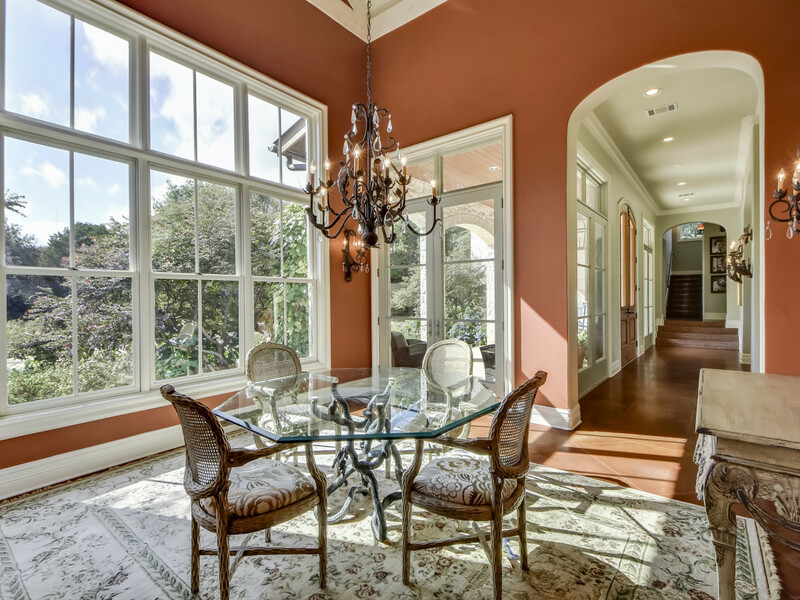 A square footage of nearly 5,400 and soaring ceilings, especially in the formal dining room, contribute to the home's "wide open spaces" feel. 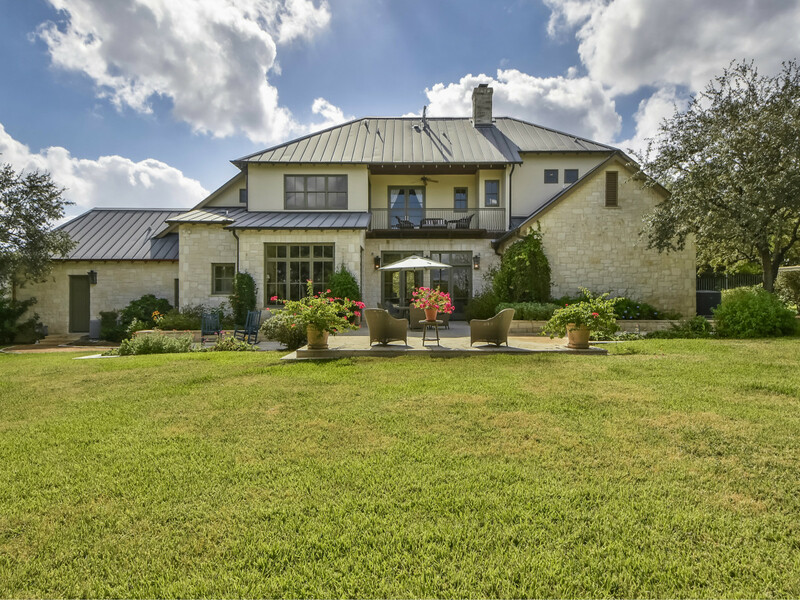 But don't think this house, which is listed for $1,895,000 with Cindy Goldrick of Wilson & Goldrick Realtors, is pure country. 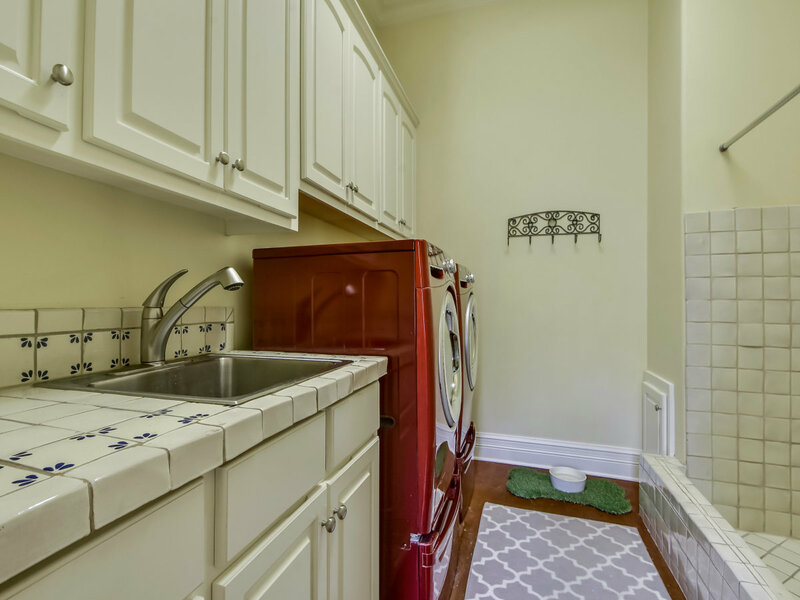 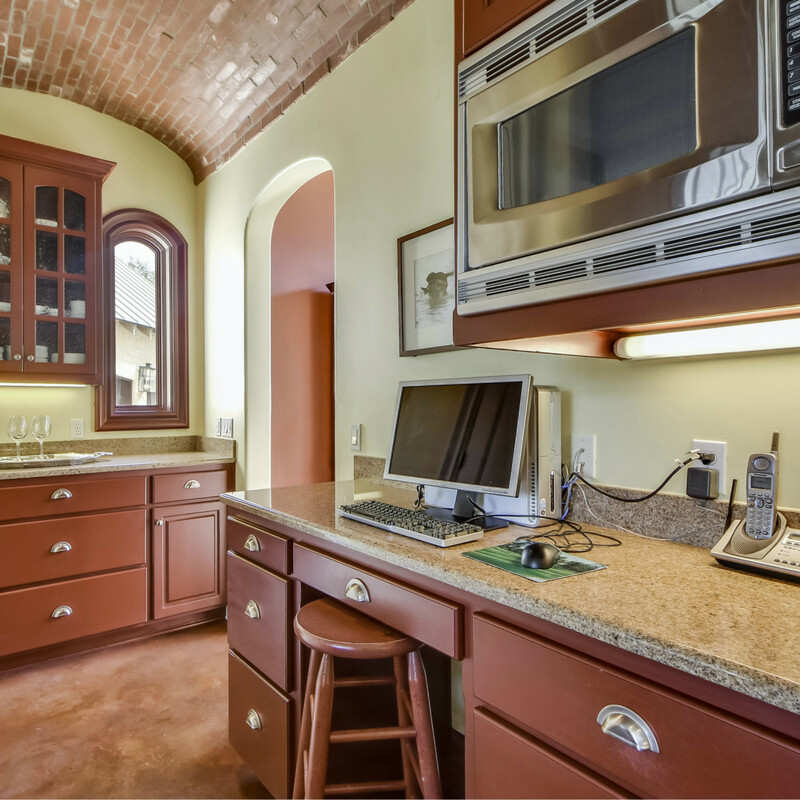 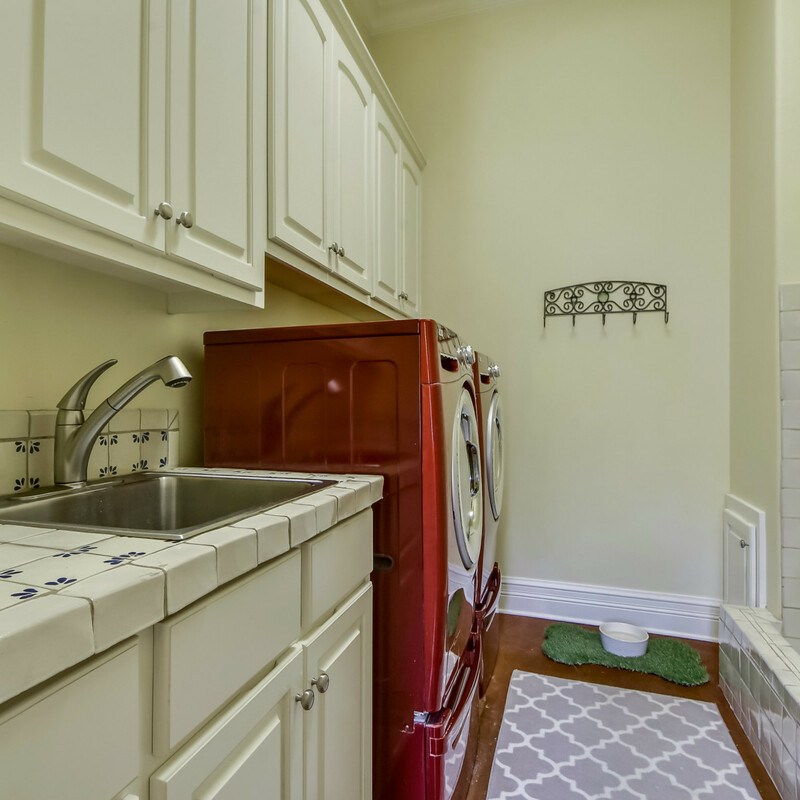 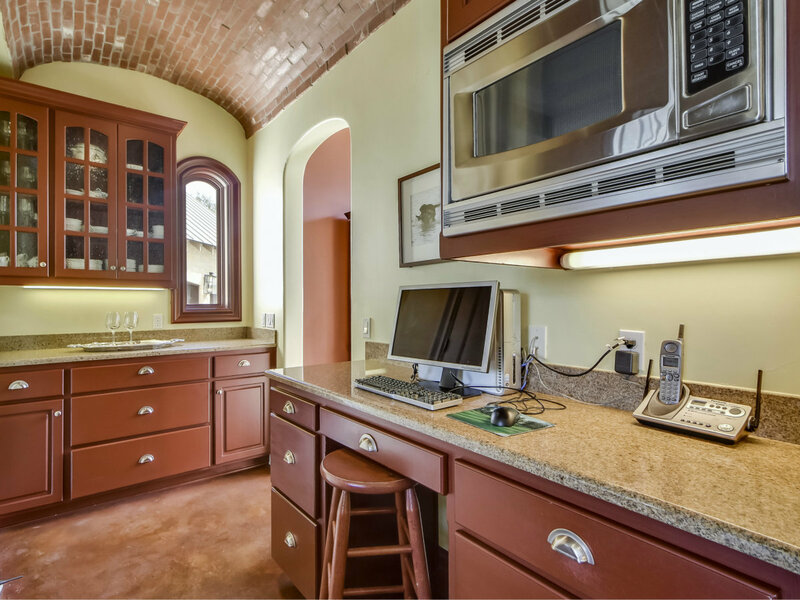 Modern conveniences have been thoughtfully added throughout, from the gourmet kitchen with its living room pass-through and butler's pantry, to the handy laundry room complete with an open shower for rinsing off muddy paws, to the expansive game room on the second floor. 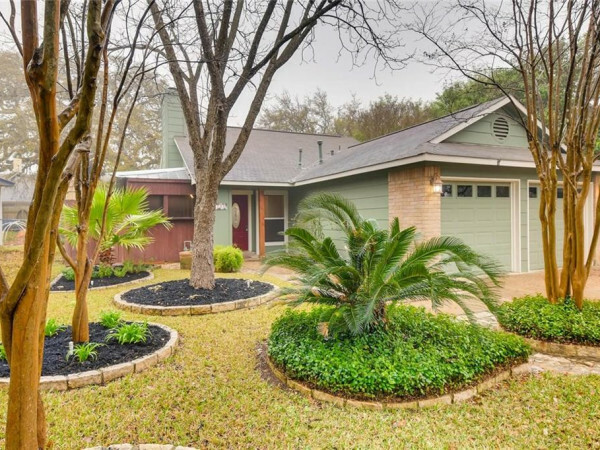 That upper level — with its three bedrooms and baths — offers privacy for the master suite, which is downstairs and adjacent to a home office that could double as a guest room. 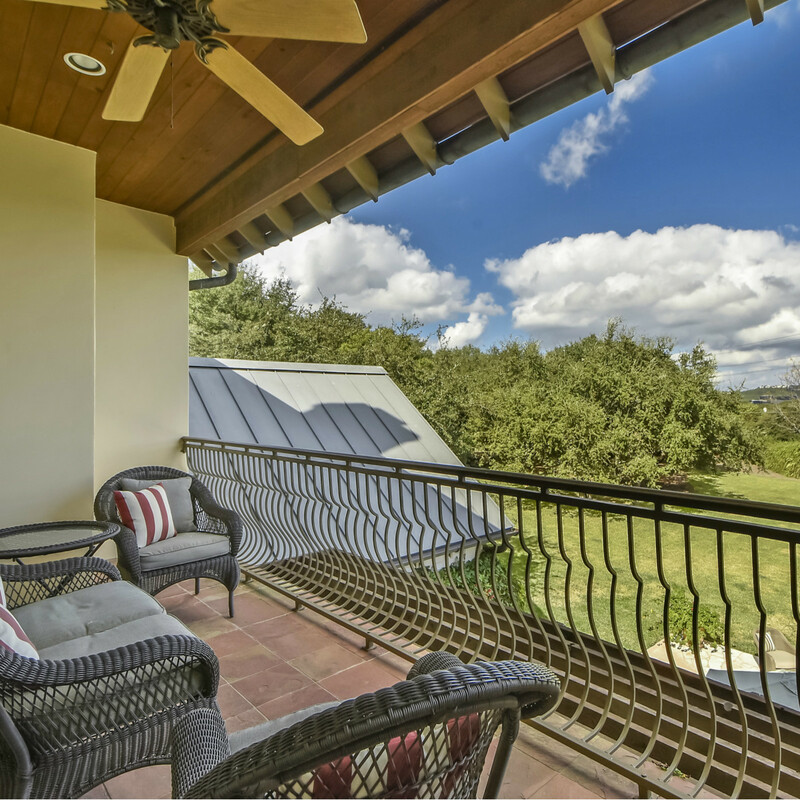 No matter which level you're on, however, you can enjoy sweeping views from either the balcony or back patio. 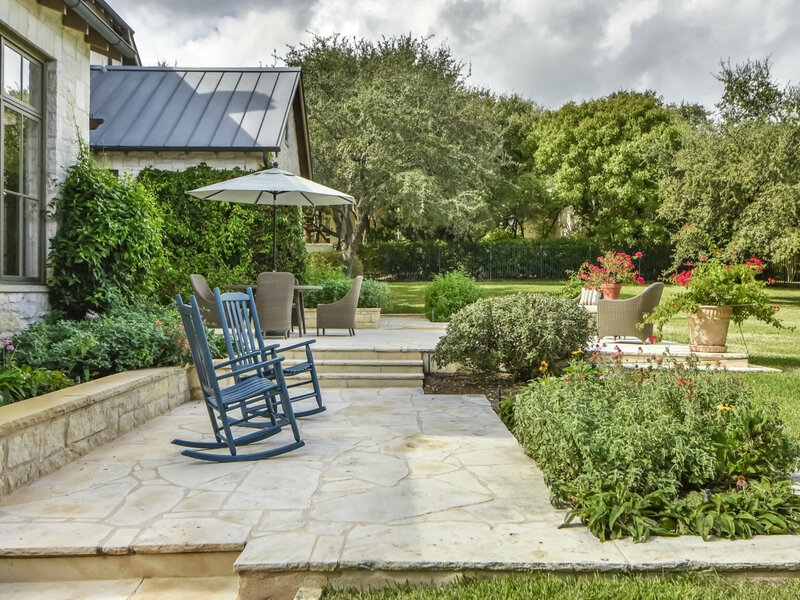 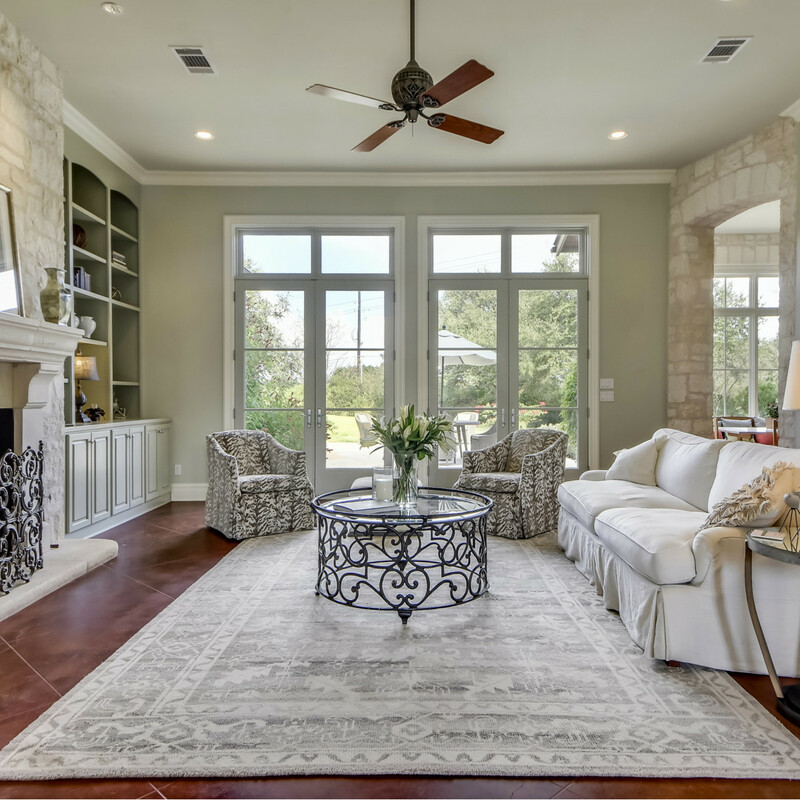 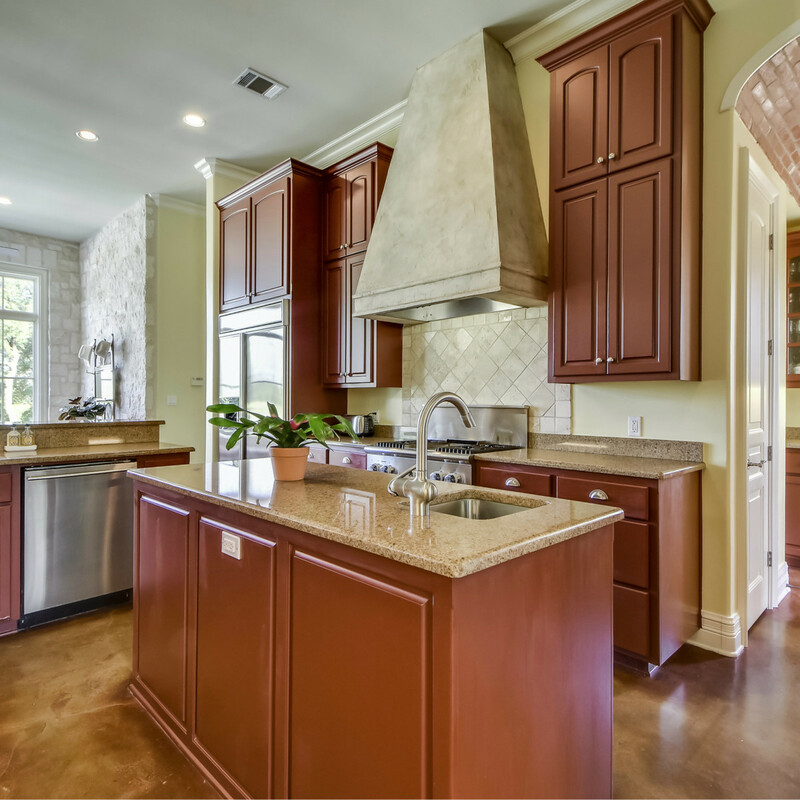 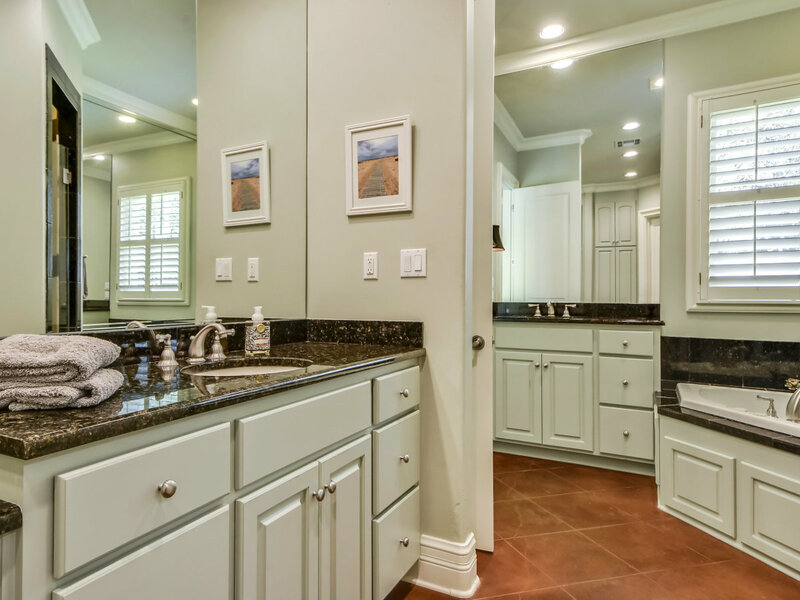 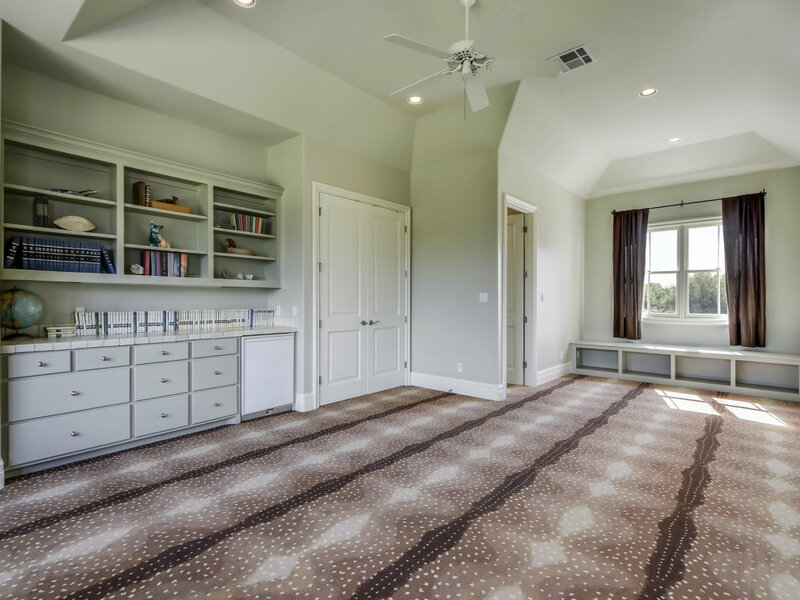 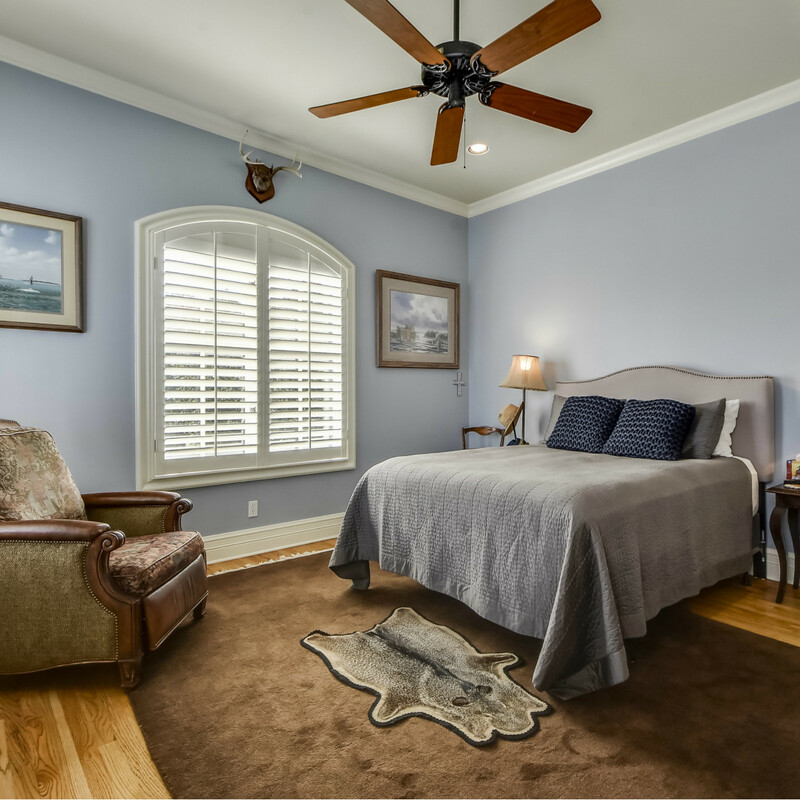 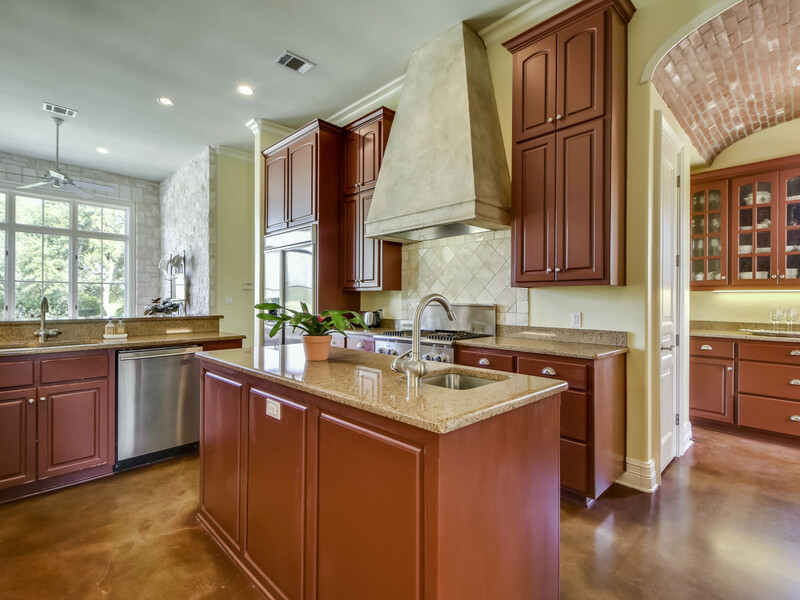 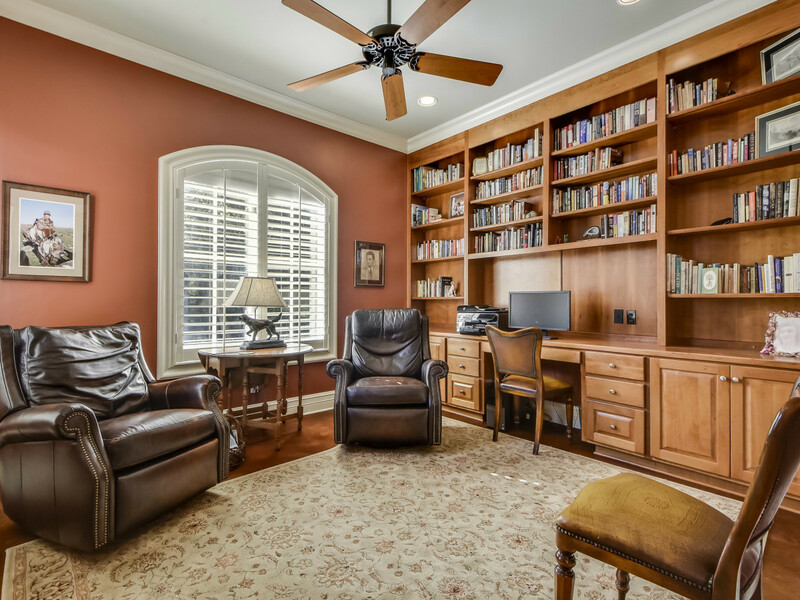 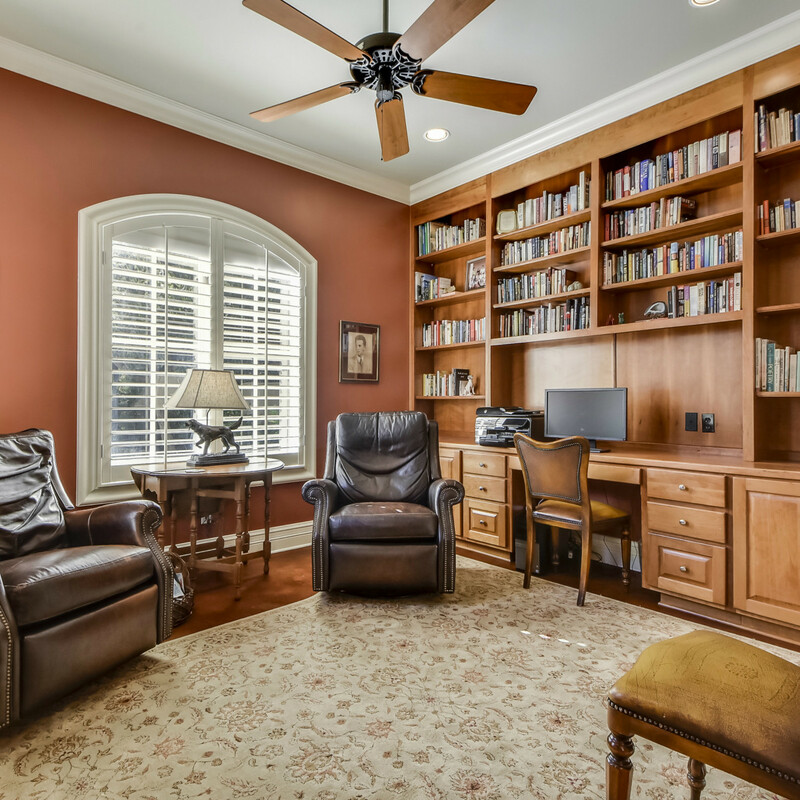 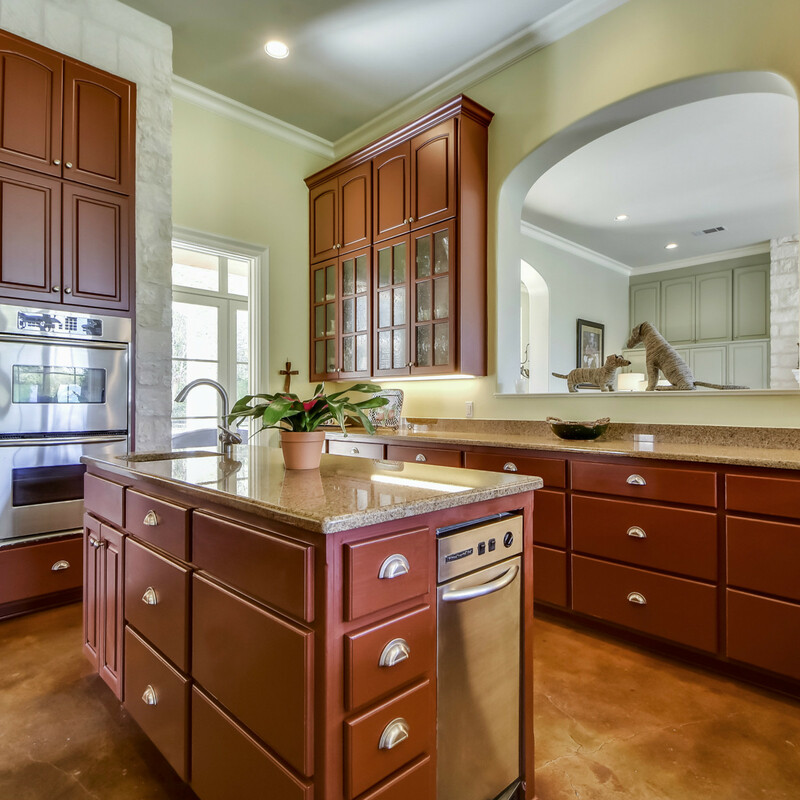 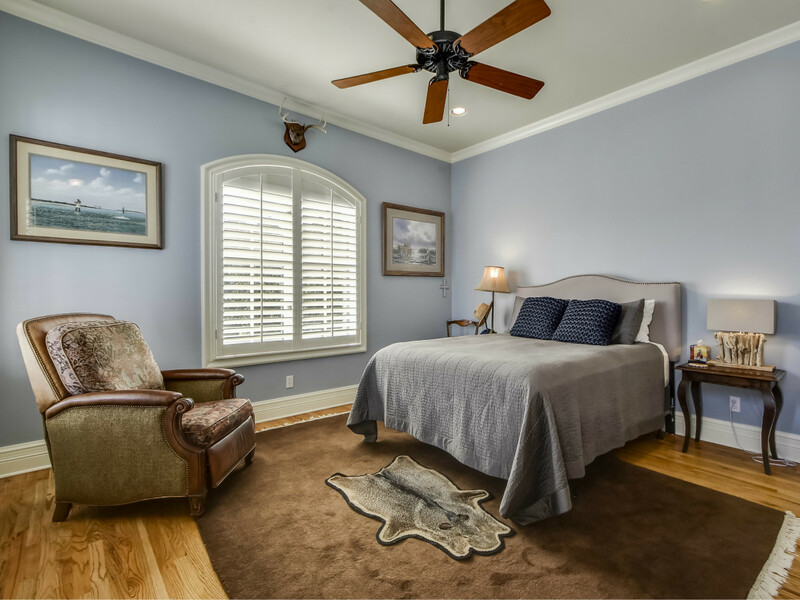 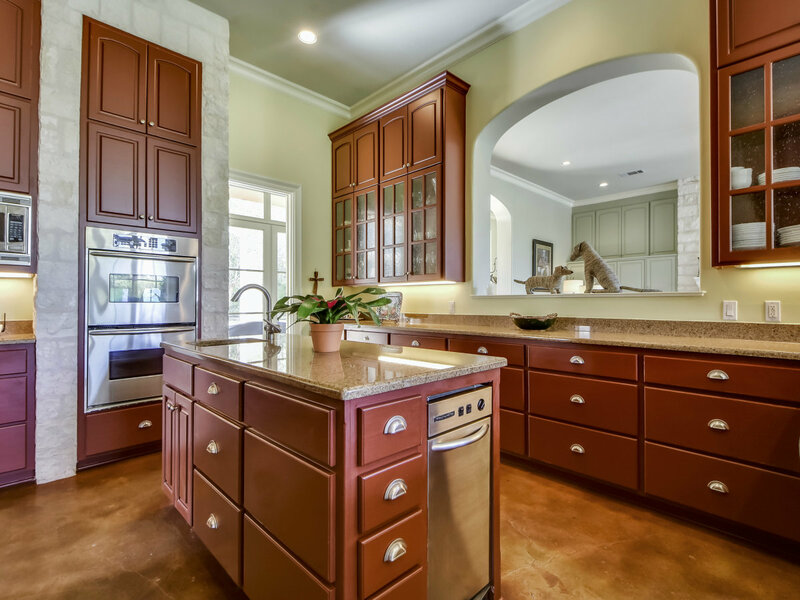 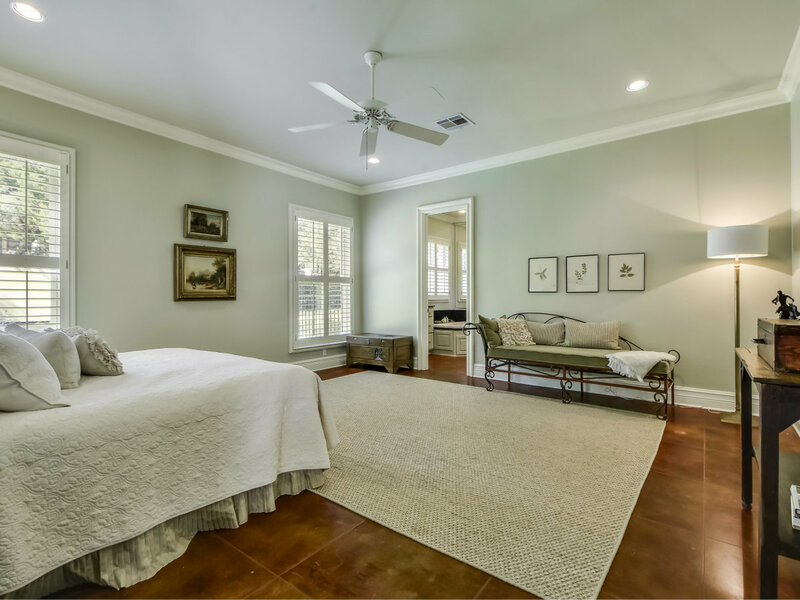 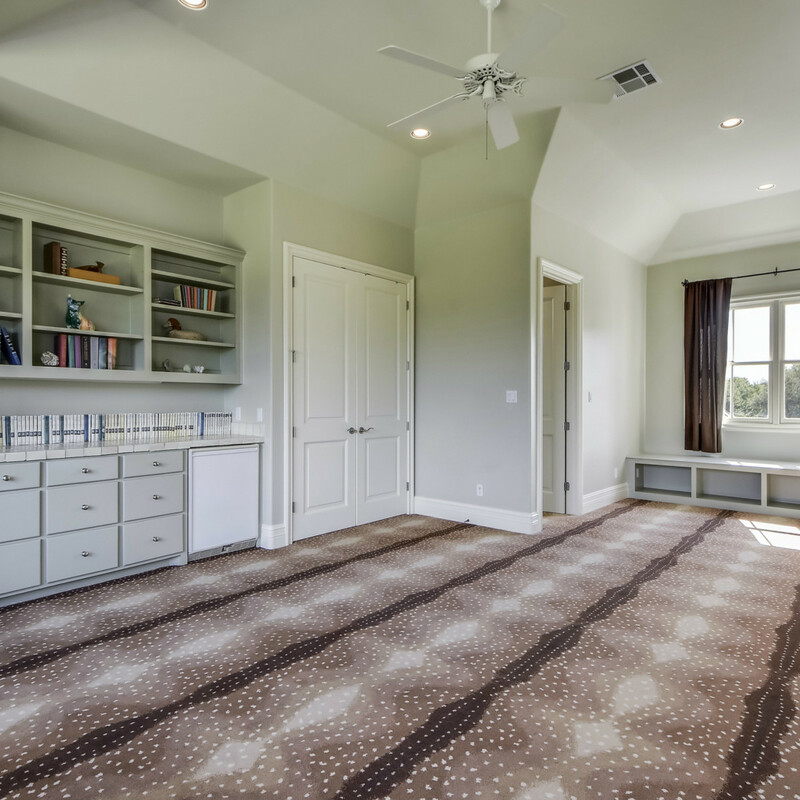 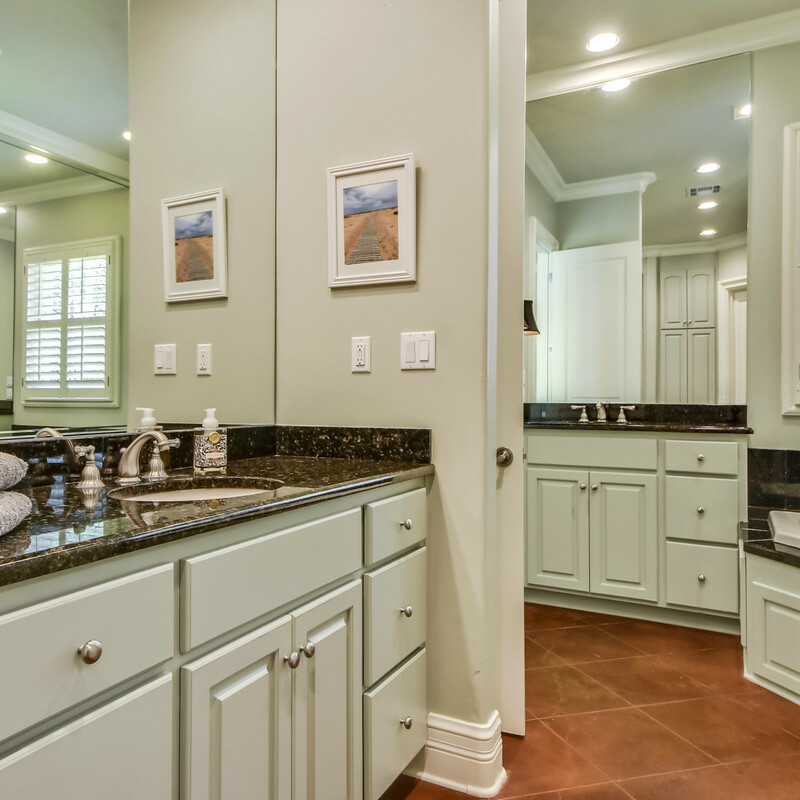 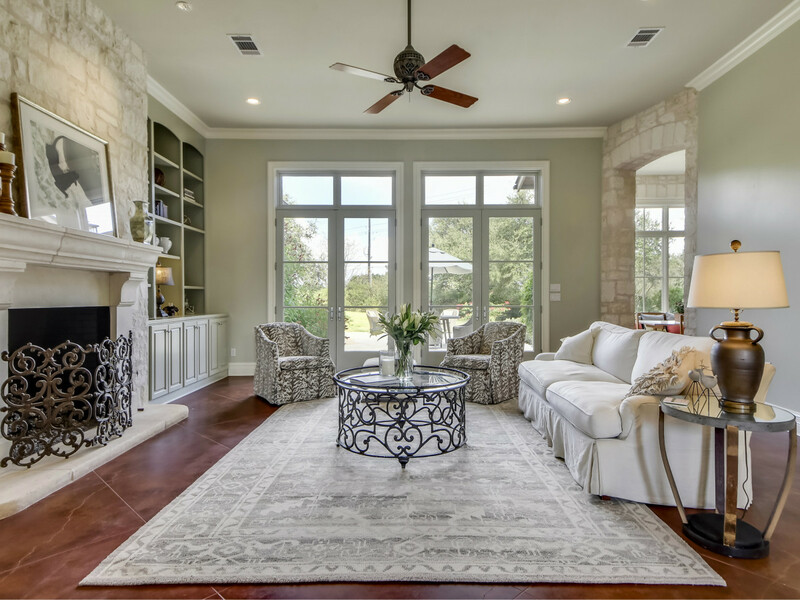 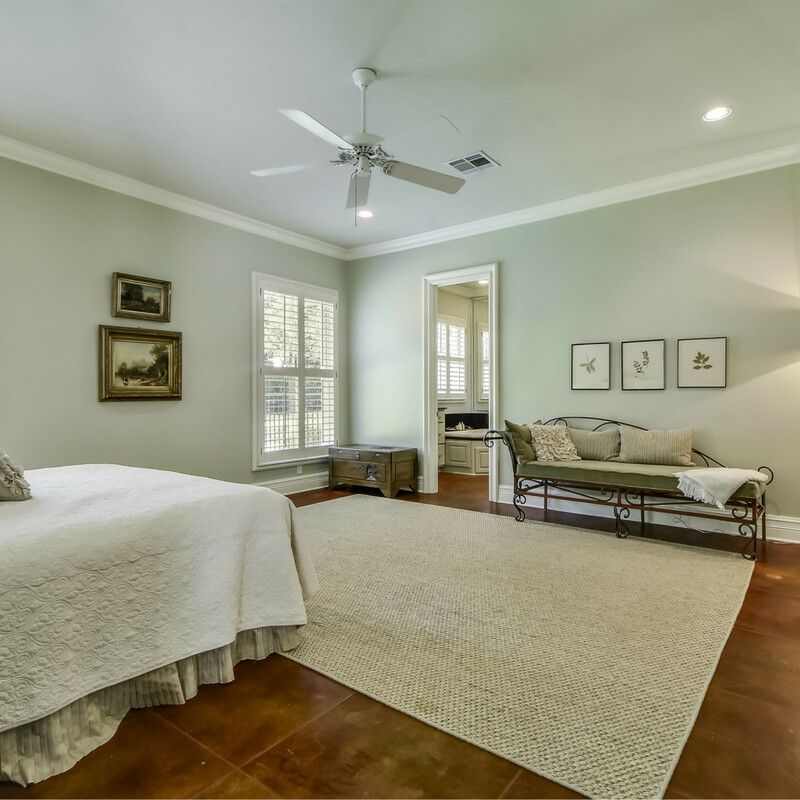 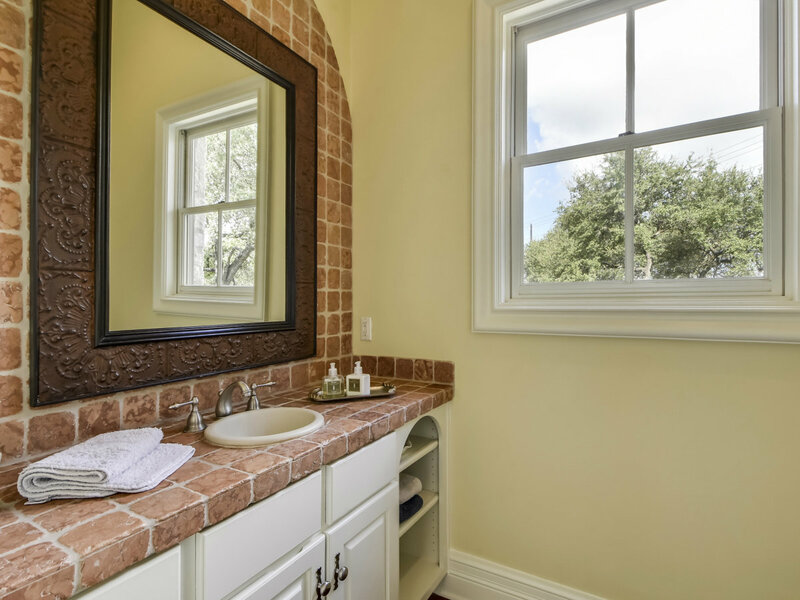 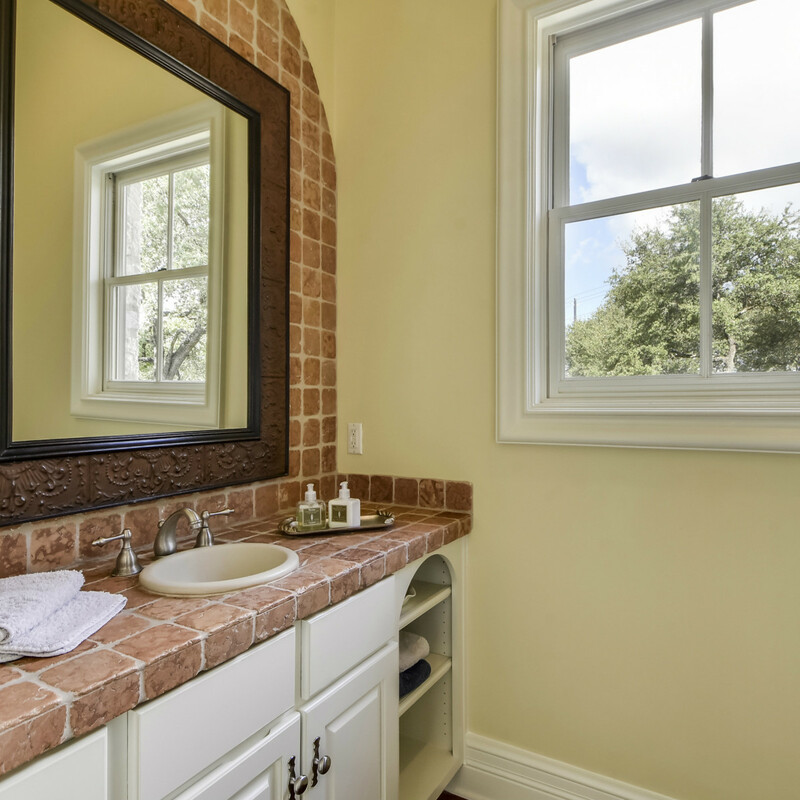 And though it may feel like you're at a secluded country estate, the home is only a short distance from esteemed schools, excellent shopping, and Austin Country Club.